Inspired to create positive change in the world. Supporting health, well-being and productivity. Damon and Cathy Coyne founded Intentional Environment in 1997 to build healthy living and work spaces that support health, well-being and higher consciousness. 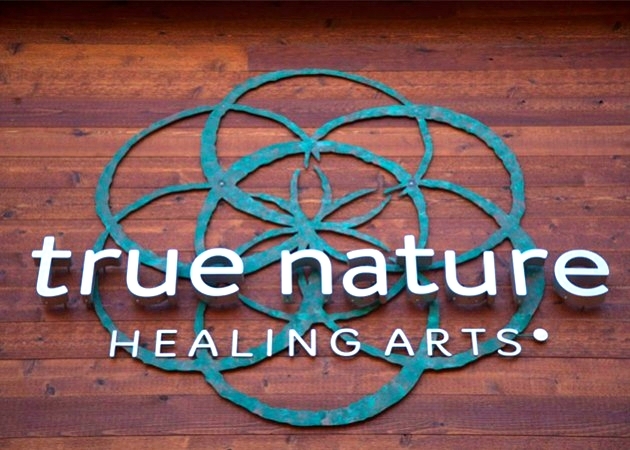 Their unique approach blends the scientific principles of Building Biology with the art of conscious energy design to transform and create environments that help individuals and businesses realize their full potential. They are passionate about helping people understand how environmental factors dramatically influence the way we experience life. They care deeply about supporting sustainable practices so the people and the planet can heal. This is why they consciously create spaces and inspire awareness, intending to create a ripple effect that supports health and well-being for generations to come. Damon and Cathy are sought after for their depth of understanding and ability to address the multiple layers of influences that impact environments. They consult for CEOs, international organizations and small businesses. They are skilled at communicating, educating and coaching leaders, teams and individuals to take inspired action. And they support their personal needs to help ensure they have healthy home environments. Meet Damon & Cathy Coyne. Damon Coyne is a certified Building Biology Environmental Consultant (BBEC) and certified Holistic Health Coach. His experience as an environmental design consultant, wellness coach, Feng Shui designer and dowser allows him to use his full gifts to create holistic designs. He is a highly effective and inspiring speaker and teacher, helping people to understand the impact of their environments and create intentional living practices that support their ability to live well. Cathy Coyne is a gifted intuitive, coach and Feng Shui consultant. She is a master at reading subtle energies, which allows her to effectively assess and clear spaces well beyond traditional methods. She is skilled in the art of activating and cultivating positive energy, and consults with business leaders and individuals to create healthy, harmonious and productive environments. And her ability to read people, listen and communicate with compassion makes her an exceptional coach. Patagonia offers an exceptional retail experience for both staff and customers. Intentional Environment helped us understand how to further improve energy dynamics and to more consciously support our values and vision within eleven of our retail stores nationally. Damon & Cathy Coyne, founders of Intentional Environment, are "retail ecology" masters. They helped us create a more inviting and attractive experience for our customers and a more supportive environment for our staff. They provided valuable insights and actionable suggestions to improve the flow and design of spaces from a Feng Shui perspective. I've had a fantastic experience with Intentional Environment. Work environment that empowers well-being and success. Beehive PR's vision is to be a game-changing partner and energizing, wholehearted workplace. Intentional Environment helps Beehive live our vision by creating a work environment that inspires positive energy, creativity and productivity. Cathy and Damon have partnered with Beehive in a number of ways, including Feng Shui design, electromagnetic field (EMF) reduction and Geopathic Stress adjustments. Most visibly, they guided the design and creation of the Inzone - a calm, distraction-free space for our team to recharge energy and creativity through quiet meditation and relaxation. Beehive has seen may positive changes as a result of Intentional Environment's work. Employees report having increased mental clarity and focus; reduced fatigue, headaches and body aches; and increased energy. This foundation of personal well-being also has helped our team achieve phenomenal business results like revenue growth, reduced sick days and record retention levels for clients and employees. Cathy and Damon are trusted and valuable partners. I unequivocally recommend their services for companies and leaders looking for new ways to grow their businesses and support their employees. Our intention with our space is to create a supportive container for exploring the evolution of consciousness through a variety of healing arts modalities: yoga, meditation, intuitive energy work, and sacred music. We have thoroughly enjoyed working with Intentional Environment because they have the knowledge, skills and creativity to create optimal energetic design, along with the scientific tools to address the issues of the electro-climate. Society is just beginning to understand pollution from the electricity around us and Geopathic Stress from below. The Coynes are helping lead this awakening, guiding us all in our understanding of a solvable problem. Renewed, clear and able to focus. The increase of disruptive environmental factors in our home happened so gradually that I hadn't made the connection between the increase in wireless technology and the physical and mental stress I was feeling. After the assessment and adjustments Intentional Environment provided, it was clear that the EMFs and Geopathic Stress were the cause. Reducing the environmental disturbances changed everything. I no longer feel the pressure inside my head that made it so difficult to focus. I feel far less irritable and much more clam and patient. And I am sleeping deeply again. Given that I office from home, creating a clear and productive environment is critical. I am very grateful for the simple solutions that have profoundly changed how I feel each day. Thank you! Intentional Environment has truly changed our lives. Seeing the readings made it impossible to ignore the impact of environmental influences. We came to understand what was causing Will’s chronic headaches and our consistent fatigue. We implemented the solutions they recommended to reduce the EMFs and Geopathic Stress. They were simple and effective. Immediately, Will’s headaches were gone. We began to sleep and dream again. Our ability to focus and concentrate returned. The difference in our lives was tangible. Their Feng Shui work has also helped to create a better flow and balance with the energy in our space. You can feel the change in the energy in our home and it has positively impacted every aspect of our well-being. We deeply appreciate their work and are so grateful to be experiencing the benefits of intentionally create a happy, healthy environment for our family. My daughter had Lyme disease and was having a very challenging time with it. Her physician recommended as part of her protocol to reduce EMFs in our home and particularly in her bedroom. We were fortune to have Intentional Environment recommended to us. Damon explained the process in clear "layman's" terms and was able to explain why this is such a critical piece to healing. With Damon's patient guidance we reduced EMFs to a conducive healing level. They also adjusted our Geopathic Stress and gave a wonderful guidance in regards to the Feng Shui in our home. We were very pleased with the results. We feel that their work was a very important part of her healing. She has made such great strides that she again active in the sports she loves. Intentional Environment has been instrumental in my healing. They were referred to me by my doctor. I was having headaches, dizziness, fatigue and more. Since we have implemented the changes they recommended, I feel 100% better. My husband even noticed that he wakes up feeling refreshed and no longer has aches and pains in the morning. I just cannot express how thankful I am to have my health restored! We are so grateful for Damon's knowledge, compassion and willingness to answer all our questions. He even helped us prioritize the changes to work within our budget. Hiring Intentional Environment was worth every penny! A healthy home for healing. My father moved in with my husband and I due to several illnesses that left him somewhat disabled. We needed help making our home a more healthy environment so Damon & Cathy came in and did a full assessment and adjustment to everything from our exposures to electric fields from our wiring and wireless internet to our missing pieces in our wealth area of our home. Long story short, my father's blood sugar and blood pressure have never been more stable, my husband received a promotion, my small business took off & we are all sleeping like babies! We firmly believe these things to be a direct relation to the work they did in our home. We highly recommend their amazing work!" Our home feels like a restful oasis since working with Damon and Cathy. We used their electropollution mitigation and Feng Shui services to make our home healthier, more intentional and restful. We are sleeping better and I notice I want to stay home more often. The way they reorganized my office area immediately created a radical change in the way I felt. I was able to get a challenging project done that I had not been able to get to for weeks. It's a joy to sit at my desk and work. We've had company over recently and they commented on how great the energy feels in our home. Damon and Cathy are highly skilled, responsive and spiritual. We feel lucky to have met them! Sign up to receive our seasonal tips designed to help you keep you living and work spaces healthy and clear of negative environmental influences.